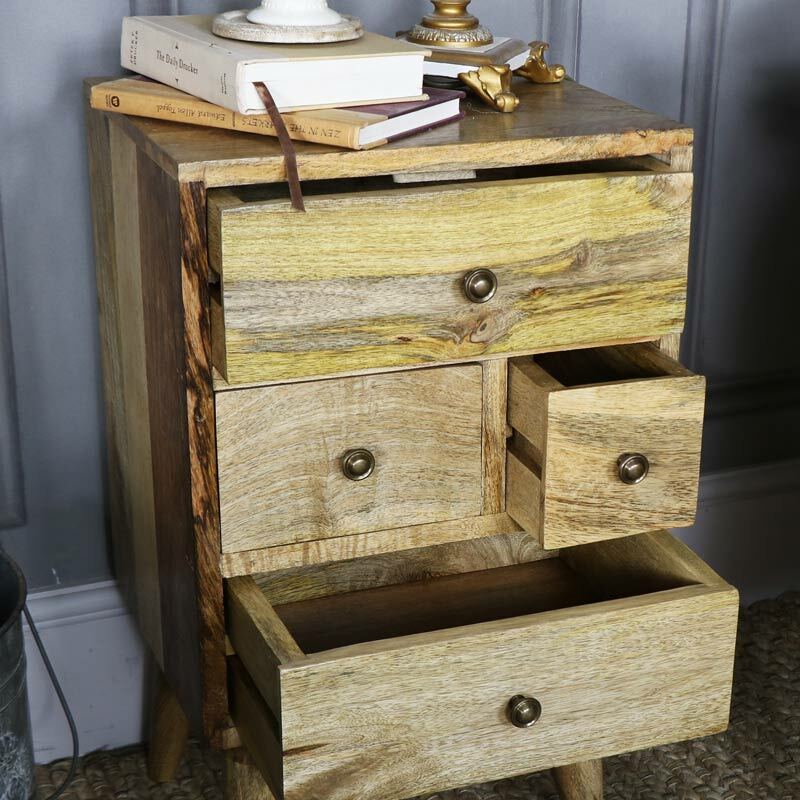 This bedside storage chest is part of our Oslo Range. In a handmade design, constructed from 100% mango wood in fantastic Scandi style. The rustic, mid century style adds a great modern, contemporary and traditional style interiors. Perfect for the living room or bedroom. Fantastically quirky design with 3 different sized drawers. 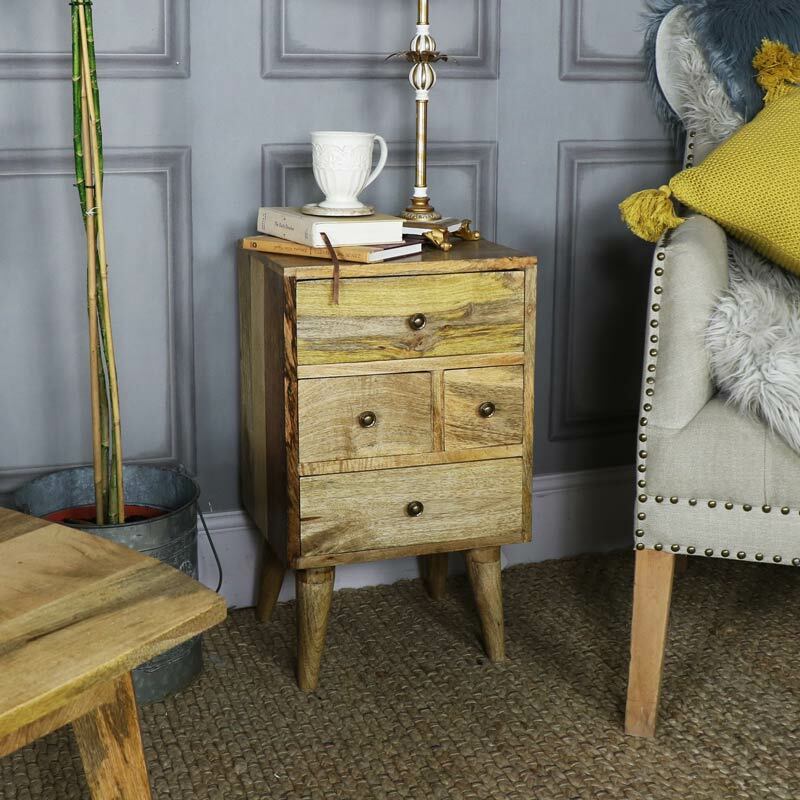 This chest will work wonderfully in the bedroom as a standalone piece or in the living room alongside other pieces in our Oslo Range. A great storage solution that will look perfect by the bedside or at the end of a sofa or chair. Each of the drawers are fronted with a round brass drawer knob that complements the overall look. 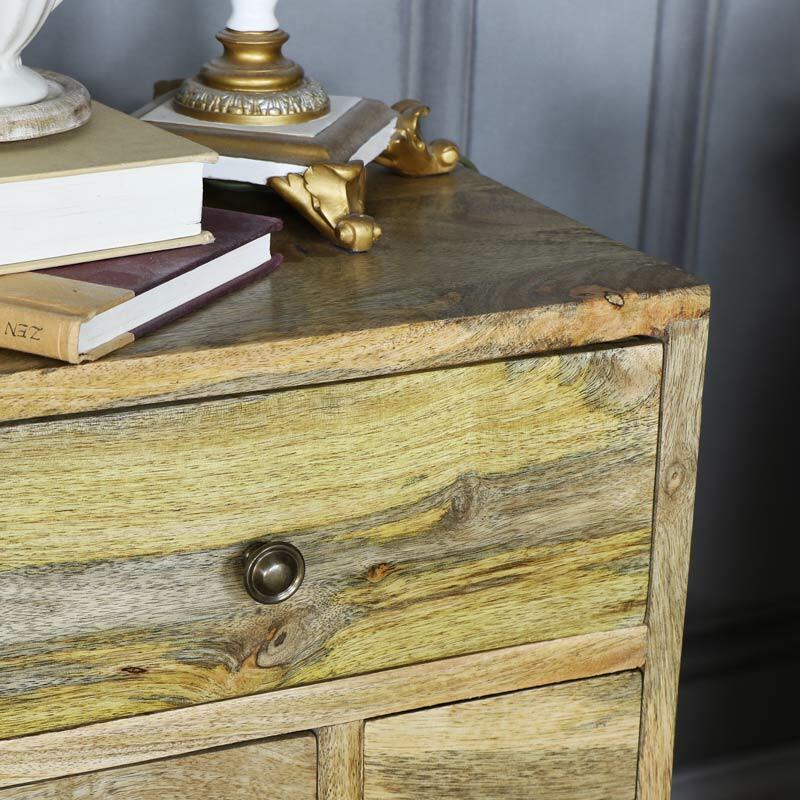 This chest will look great used on it's own or with the rest of the Oslo Range to create a stylish look for your home. 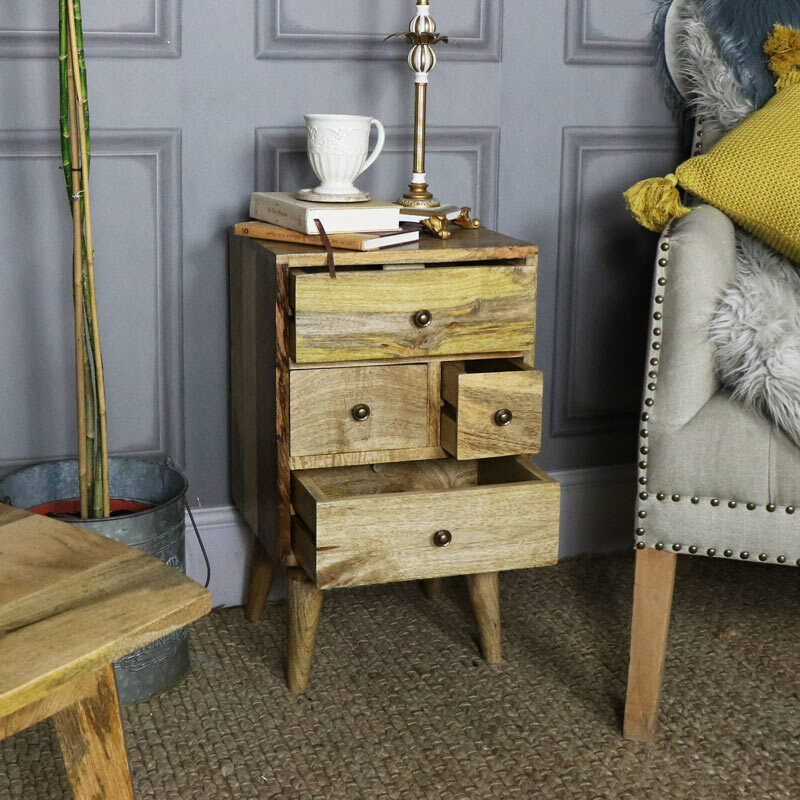 With a wide range of furniture available at your fingertips, the Oslo Range offers a great look for your home and forms part of our wonderfully extensive collection of furniture from the rustic, retro and industrial to the shabby chic, French country style.